The Value resorts at Walt Disney World are a steal compared to the often sky high prices at other hotels (Polynesian-Bungalow-bill-induced-heart-attack, anyone?). But low rates don’t mean no amenities. Here’s eight things to be on the look out for. Free Dining is a promotion that Walt Disney World occasionally offers during slower times of year. On this promotion, guests who stay in a Value Resort receive may receive a Dining Plan for free. But, for just the price difference between the plans, guests can upgrade to the next level Disney Dining Plan. Many people love the Free Dining promotion, but most don’t know about the chance to upgrade. You just pay the difference between the plans. The Tables in Wonderland card is available to Annual Passholders and Florida residents. It gives the holder 20% off meals at table service restaurants. Normally, the discount is only applied at sit down places, but the card actually works in the Value Resorts! That’s right, since the Value Resorts don’t have a table service restaurant, the Tables in Wonderland discount can be applied to the counter service restaurants at each of the five Value Resorts. This is a great way for Annual Passholders and Florida residents to stretch their buck a little farther. 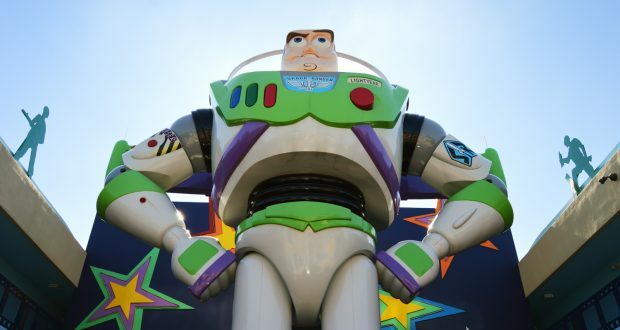 Pop Century and Art of Animation each have their own dedicated bus system year-round. And they both have just one bus stop at each resort. It’s a great service that makes getting to and from the parks way faster than the resorts that share, or have more than one stop. The three All-Star resorts share a bus system during slower parts of the year. In my experience during the slower times, each resort has its own bus in the morning, and share a system in the evenings, though your mileage may vary. But, during peak seasons, the All-Stars gets their own bus systems. Even so, having just one bus stop expedites the whole bus riding process. Who doesn’t love arcades? Arcades are just fun! The Value Resorts all have arcades full of games (so do the other resorts). These are a great option for arrival and departure days, when you don’t want to spend a park ticket on a part day, or for down days spent hanging out at your resort. Find the arcades near the food court and gift shop. Actually, all the resorts have this feature, but still it’s missed by so many people! Every night (weather permitting, of course) the resort shows a movie outside. Check with a concierge for show times, location, and what movie is playing. Flying in to Orlando International Airport? Staying in a Disney resort? Then sign up for Disney’s Magical Express, a free shuttle that transports guests from the airport to their hotel. Simply sign up online or by phone after making your hotel reservation, all you need is your flight information. They even pick up and transport your checked luggage for you! Don’t discount the dining at the Value Resorts. Everything Pop (Pop Century) and Landscape of Flavors (Art of Animation) in particular have excellent counter service dining options. Everything Pop has big portions and reasonable prices, making for a great value. Landscape of Flavors’ menu offers a wide variety of healthy and unique choices. The restaurants at the All-Star resorts are more basic, but still have a good selection of grab-and-go snacks that make for a good quick breakfast or late night snack (who else embraces reliving childhood by having chocolate milk and cheetos after a long day in the parks?). This one might seem a little funny, but hear me out. Obviously, you’ll see the larger than life statues outside the lobby, near your room, and the ones in between at least a couple times a day. But what about all the others? You’re missing out on the full experience of your resort if you don’t take in all the decor. And don’t forget about the adjacent hotels as well. Recently, I stayed in an All-Star resort for the first time (Pop Century is usually my go-to Value Resort). I stayed in the Rock ‘n Roll section of All-Star Music, but really enjoyed walking through the rest of the resort to see the different themes, and the theming in All-Star Sports where I especially loved the baseball section. I’m bummed we didn’t get over the All-Star Movies to see it. Art of Animation and Pop Century are a short walk from each other so guests at either resort can easily visit the other. This can be a great activity for a down-day from the parks– you can only stay in the pool for so long!